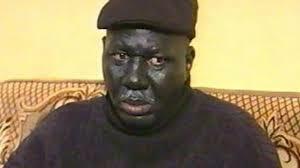 The ace Nollywood actor and comedian Babatunde Omidina popularly called Baba Suwe was earlier today rumoured to be dead. But in a video obtained from Youtube, he personally debunked it. A socio-political group, the South South Democratic Watch has raised concerns over the conduct of the Tribunal Justices in the South South States. Speaking to journalists after its bimonthly general meeting held in Port Harcourt, the Rivers State capital, President of the group, High Chief Harry Sogbeyi frowned at what he described as "unholy romance between some Niger Delta governors and members of the election petitions tribunal in respective states in the region." According to Sogbeyi, the state governors who are members of the Peoples Democratic Party (PDP) met on January 13, 2019, in Port Harcourt where they formulated strategies aimed at manipulating the elections petition tribunal to their advantage. He said the meeting had in attendance, Governor Nyesom Wike (Rivers), Udom Emmanuel (Akwa Ibom), Ifeanyi Okowa (Delta), Seriake Dickson (Bayelsa) and Ben Ayade (Cross River). "At the meeting which was held on the heels of President Muhammadu Buhari's suspension of the now dismissed Chief Justice of Nigeria, Walter Onnoghen, the governors unanimously adopted the strategy of using judges from the Niger Delta region as agents to financially induce chairmen and members of the elections petition tribunal in respective states where elections took place. "The governors didn't stop at telling the former CJN to shun the CCT invitation, they also said that ongoing prosecution is humiliating and unacceptable. 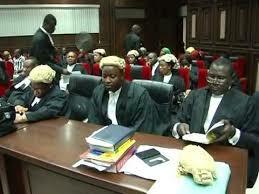 They threatened fire and brimstone, vowing to avenge the prosecution of their ally", Sogbeyi stated. Speaking further, he alleged that the governors have so far received the assurances of judges to implement every trick in the book to compromise the tribunal panel. "One of the strategies adopted and implemented is making the compromised tribunal panel members receive directive from the Resident Electoral Commissioners of respective states. And we have it on good authority that the move to compromise the tribunal has so far been successful in Akwa Ibom State and Cross River State." He called on the Independent National Electoral Commission (INEC) and anti-graft agencies to wade into the issue. Earlier, Mr Otu, in a news conference in Uyo, rejected the conduct and result of the governorship election, promising to take the protest to International Criminal Court. He said the exercise was marred by irregularities including rigging, vote-buying and thuggery. He said his party is in possession of evidence of electoral malpractice in the state. Weeks after he was declared winner of the governorship election, Governor Udom Emmanuel and his team refused to be served the court papers inviting them to respond to allegations of election rigging brought to the tribunal by the All Progressives Congress (APC) and its governorship candidate, Obong Nsima Ekere. After weeks of delay by the state government and complaints by the opposition APC, the Tribunal Chairman, Justice A. M. Yakubu, gave permission to APC to serve the governor and PDP through substituted means. The court processes, was pasted on the PDP secretariat in Uyo by the APC. Also in Akwa Ibom State, Senator Godswill Akpabio of Akwa Ibom Northwest Senatorial District and his legal team have accused the Independent National Electoral Commission (INEC) in the state of denying his legal team access to election materials. Chairman of the Election Petitions Tribunal, Justice W.O Akanbi had on 2nd April granted Senator Akpabio, the petitioner and applicant and his agents including forensic experts’ access to inspect and copy all electoral materials used in the Akwa Ibom Northeast senatorial election. Counsel to Senator Akpabio, Mr Patrick Umoh, said, "We learnt that on the instruction of Igini, Akwa Ibom INEC has consistently flouted the order and has refused the agents of Senator Akpabio and forensic experts access to the election material. INEC has been engaging in a hide-and-seek game. “We also wish to inform you that we had earlier reported for the said inspection on Thursday, the 11th day of April, 2019, Friday, 12th April, 2019 and Monday, 15thApril, 2019 but our efforts to have access to the materials and inspect same did not yield any positive result." Head, Legal Department of INEC in Akwa Ibom, Mr. Mark Chukwu explained that the senator’s lawyers had met with the commission to allow them inspect and copy the materials which the commission quickly granted. He, however, said the inspection would have taken place but for Motion on Notice obtained from court and issued to INEC by one of the parties in the election. Similar perceived discrepancies are rife in Cross River State and Delta State. PRESIDENT Muhammadu Buhari has outsmarted some lobbyists of the yet to be constituted Federal Executive Council, FEC who have traveled to the United Kingdom to wait for his arrival for the 12 days vacation. 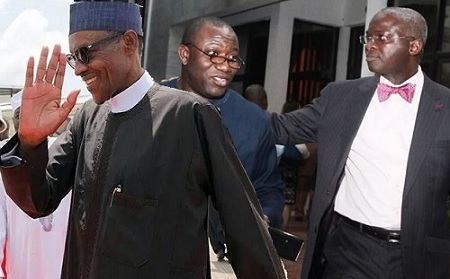 According to an emerging report by The Nation Newspaper, Buhari is keeping All Progressives Congress (APC) governors, ministers, associates and loyalists guessing on who are likely to be part of his team. The situation notwithstanding, some of the outgoing ministers are lobbying to remain in office. The president seems to have disappointed some lobbyists who hurriedly flew to London in anticipation of a 12-day break by him. He was yet to make the trip as at press time. Sources, according to The Nation said yesterday that between three and five ministers who have been members of the President’s Kitchen Cabinet in the last four years may be re-appointed. One of the ministers was made the chairman of the Finance Committee of the Presidential Campaign Council during the just-concluded general elections. Investigation by our correspondent revealed that it has been difficult for APC leaders including governors, ministers and the president’s associates to know his thinking on his coming cabinet. It was learnt that despite complaints about the job, about 60 per cent of the current ministers want to serve in the next cabinet. A top source, who spoke in confidence, said: “No one knows the mindset of the President on how he will constitute the next Federal Executive Council (FEC). The situation is so dicey that those rated as closer to the President in the cabinet cannot authoritatively say whether or not they will be retained. “Despite reservations, about 60 per cent of the ministers prefer to remain if they have their way. This is why many serving ministers have been lobbying those who have the ears of the President for retention. “One certain thing is that the new coming FEC will be a cabinet of legacies. The President has been stating it that he wants to leave sustainable legacies behind. He will go for hardworking candidates. He has agreed with his team that time is no longer on his side. “The President will also, this time around, not condone the idea of some powerful lobbyists and leaders recommending candidates for ministerial appointments. He hardly knew some members of the outgoing FEC. “Recently, when the President announced that he will be on a vacation in London, some lobbyists embarked on emergency trip to Britain to await his arrival. But the President caught them unawares by delaying his trip. This is the dimension the race for cabinet slots is taking. The President is shutting out lobbyists.